Whitens & Brightens while protecting against new skin discoloration. 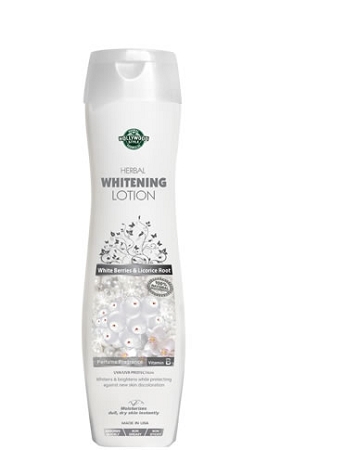 Advanced formula rich with well-known natural whitening and bleaching actives (alpha arbutin, kojic acid, licorice, white berries, papaya and wild mushroom extracts) that have been proven most effective to naturally and safely whiten and lighten the roughest, toughest dark tones on the body*. 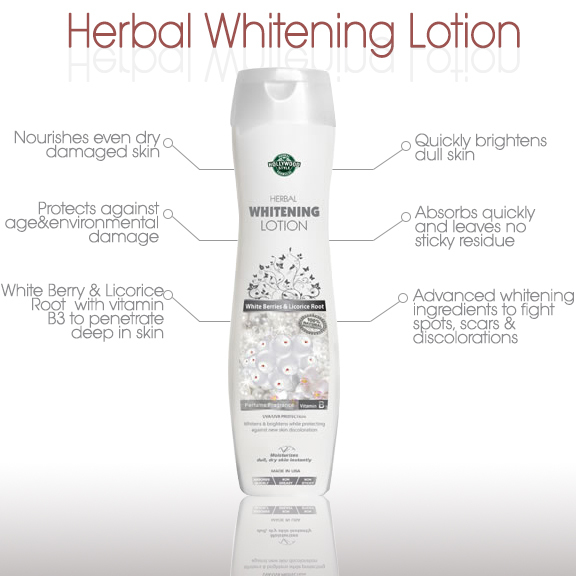 This lotion is great to use on the whole body, including knees, ankles, elbows, neck and other tough-to-lighten areas. I liked the product, and it seems to be working. But i will not be purchasing this. Just coz i hated the smell of this lotion and it seems a little expensive to me. I'm using this product for almost 2 wks. now & i can see the difference my skin was brighter and glowing, i absolutely recommend this for my friends & relatives. Easy to use , light non greasy. easy to dissolve into skin, great smell as well, enjoying the results. I like the texture of this lotion, not sure about skin lightening but certainly my skin feels smooth and velvety. This is a great product- I have fair skin with some sun damage- over the years I have tried everything and nothing really worked. Tried this cream and after 2 weeks I really noticed an improvement with my skin.I have already ordered a second bottle. I really like how it evens out your skin tone and makes your skin soft. I read good review on this site about this lotion, but hummmh it didn't work quiet well on me. I tried it for about a month, with no success. May be if i keep using it longer it my work, but i not a very patient person so,i will try a different one. Love this lotion it is non greasy formula and quick to absorb into my skin, great smell as well.